Spring is coming towards us in Finland and I cannot be more excited! Usually Spring is my least favorite season because it means busy and stressful times at school or work, unstable weather and dog poop coming out from the melting piles of snow. But this year I'm having the best time enjoying the increasing daylight and sunshine! I feel like I haven't seen the Sun for months! (Well, tbh I haven't - Winter days in Finland are seriously dark and it's our longest season). 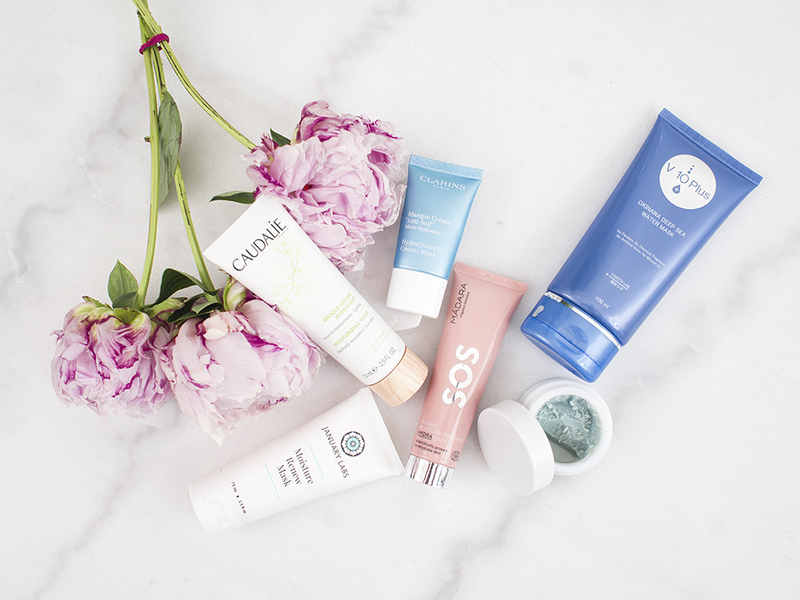 In today's post I'm keeping showing you a couple selected skincare of products from my recent Winter-to-Spring heavy rotation. 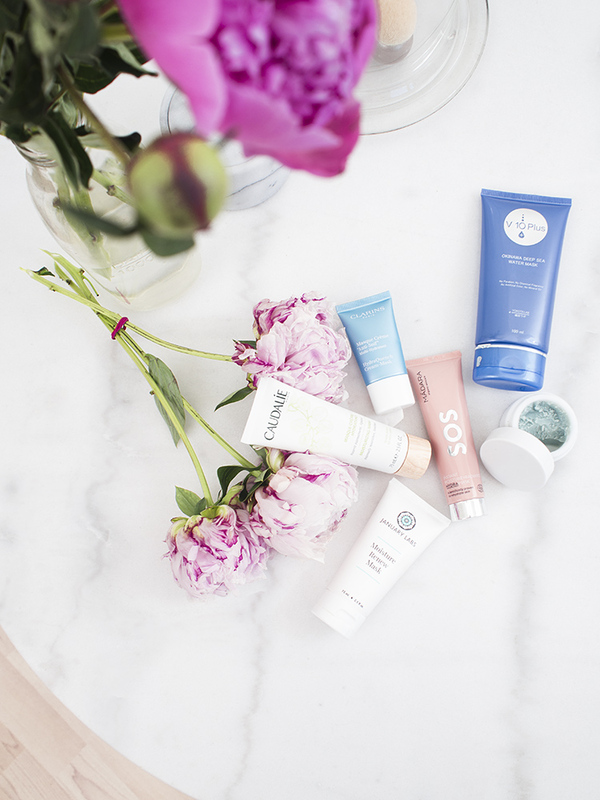 When it comes to skincare, my skin is dry but behaves pretty normal with my comprehensive daily skincare routine. 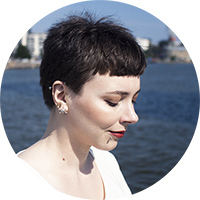 I think my complexion did very well until January, then the weather turned even harsher (-20°C or -4F and colder in Helsinki) and my face started looking parched, easily flakey and even older because of the moisture loss. 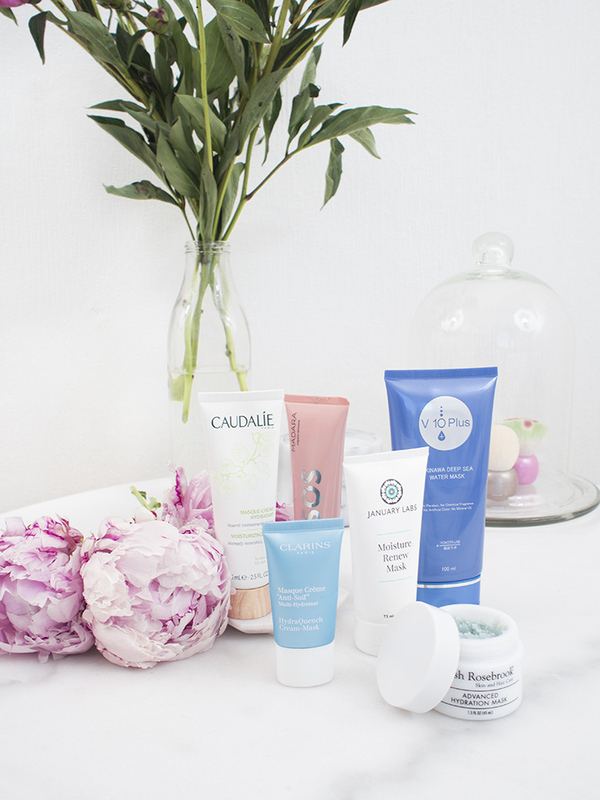 So what I did was adding more hydrating masks, humectants and occlusive balms - such as the Sweet Serenity Beauty Balm I reviewed recently. Now moving to Spring my biggest problem is drought aka my face and body. I shower in the mornings and afterwards I feel like an itchy, flakey lizard and it gets worse during the day if I won't slather myself with my Max and Me body oil afterwards. I'm contemplating should I get a body cream for the evenings as well.. because more is more? But let's take a look what I've been using lately. I'm an avid fan of Kypris' Antioxidant Dew, which is a milky serum for light hydration and nutrients. I bought their famous nighttime serum, Moonlight Catalyst, without much considering: I had the idea it would be all plant-based alternative to retinol, which it isn't. This product has a pumpkin-derived enzymatic exfoliants and willow bark extract, which are gentle plant-based exfoliants, but I emphasis the word gentle. Ah Clarins. Somehow this brand has retained a positive image in my mind, although I haven't had much for the products I've tried. The famous lip balm in a blue tube? I don't feel it sinks in or moisturizes my lips at all. I used the HydraQuench mask in the past as a sleeping pack without noticing much result afterwards. It wasn't horrible, just forgettable and I stopped reaching for it. The same happened with the famous Origins' Overnight Mask, which I grew to dislike. Let's get to the good stuff, shall we? Josh Rosebrook brought out the Advanced Hydration Mask and Vital Cream Balm last year and clicked them immediately in my cart. I kind of haven't decided which product I enjoy more, thus, I rotate them or layer together. Josh's ingredients are always top quality, organic or wildcrafted (you can see below) and best of all - they perform. His Active Infusion serum (review here) made to my Best of Skincare 2017 and I couldn't speak highly enough of his other products as well. While the Josh Rosebrook mask was plant butter based, January Lab's is more gel-like consistency. The moment I saw the ingredients list of this mask I jumped up and down as I love squalane, avocado oil, hyaluronic acid and lactic acid. This mask has moisturizers and emollients in easy-to-use tube. You can leave the mask on for 10 minutes or do as I do - slather it on and go to bed. Even though I use it quite heavy handed, I find my skin drinks this up. Sometimes I've used this alone and been content with the result, but for my dry skin I find this product performing best layered with other humectants. Water, Squalane, Avocado Oil, Hyaluronic Acid, Sunflower Seed Oil, Aloe Leaf Juice, Caprylic/capric Triglyceride Glycerin, Lactic Acid, Linoleic Acid, Apricot Seed, Corn Sugar, Sulfonic Acid, Palm Oil, Coconut Oil, Saccharide Isomerate, Shea Butter, Vitamin E, Sage Leaf Extract, Chamomille Extract, Ethylhexylglycerin, Coconut Oil, Cirtric Acid, Sodium Citrate, Green Tea Leaf Extract, Cucumber Fruit Extract. Soft, non-abrasive facial cloth made with organic linen, algae and eucalyptus fibres. Tender and perfect for sensitive skin! I usually wet my cloth with hot water, but this one is so gentle it'd work well without. Aqua, Paraffinum Liquidum, Glycerin, Urea, Cetyl Alcohol, Stearyl Alcohol, Myrtrimonium Bromide, Benzalkonium Chloride, Lactic Acid, Eucalyptus Globulus Leaf Oil, Limonene. 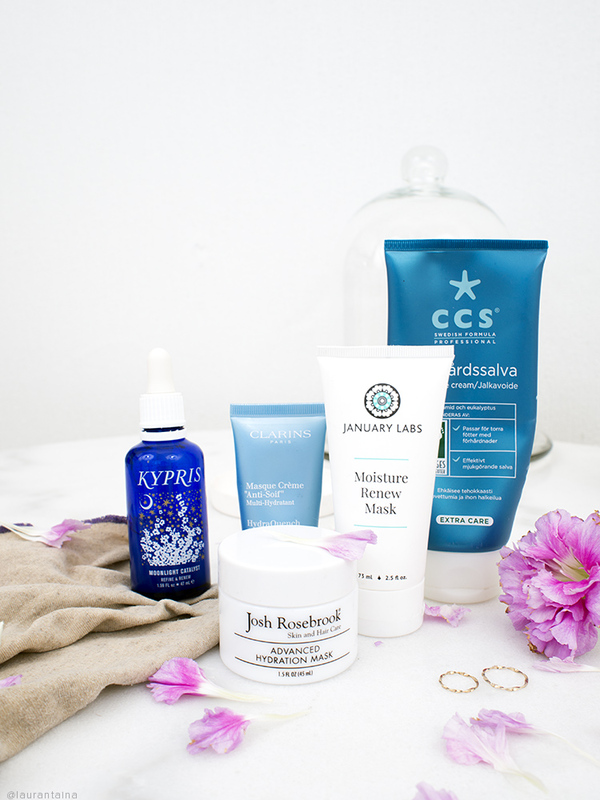 What's in your current nighttime routine? Any body cream recommendations? *January Labs Moisture Renew Mask kindly gifted for review purposes. The Josh Rosebrook mask was bought with my own money, but I've received PR from the brand in the past. My thoughts are my own.